Noah is still pretty sick. He had an x-Ray that showed fluid on his lungs and his eyes are very swollen. He's also still having a very hard time breathing. So they decided to start him back on the diuretic again. I know he's not feeling well because he puked all over and kept dry heaving even after his tummy was empty. Its so sad to see him look sick. But they still haven't decided if he's only fighting an infection or if he is rejecting also. It's such a fine line to not treat too soon or wait too long but everything is just very confusing right now. If they treat rejection too soon that could "tip over the apply cart" (as I was told today) and cause him to continue to have rejection episodes. So they want to make sure it's really rejection before they treat it. There are two main ways to diagnose rejection. One is an Echo (an ultrasound of his heart). So far those have looked good. His heart function is still good. If that begins to show even the slightest sign of decline, in addition to all the other symptoms he is having, they would treat immediately. The other way is to do a Heart Cath. 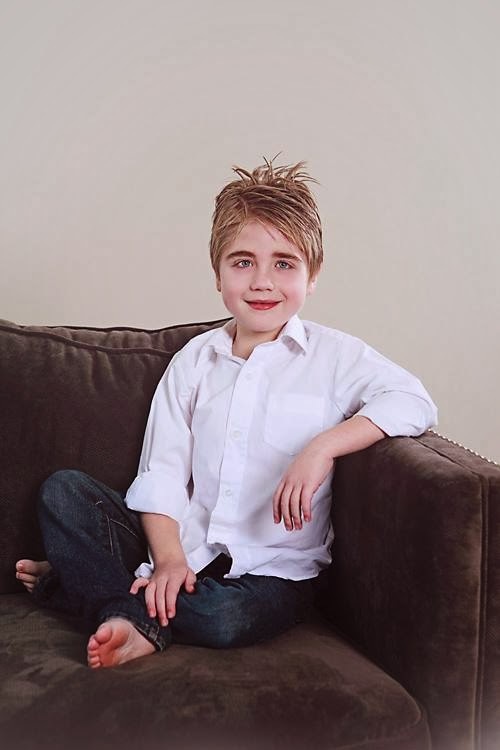 But this soon after transplant and being that Noah is an infant and has years and years of caths a head of him, they really don't want to do that. The more cath's he has the more likely his veins are to shut down and they won't be able to use them anymore. Right now, things are just up in the air. I know he's not getting better as of now. The first day back in the hospital he looked much better after the antibiotic started but then each day after that he's begun looking sicker and sicker. So Allison and I are still both worried and concerned that something is up. She told me that she called Dr. Pietra (the head transplant cardiologist) in the middle of the night to discuss her concerns about Noah. I really appreciated that. I'm glad she doesn't just dismiss my worries. Anyways, he said he's keeping a very close eye on him and will make sure nothing goes un-noticed. The other transplant coordinator who was in-patient today said she thinks it's just the infection and trying to balance his fluids. So I guess we'll see. I sure hope that's all it is. The thought of rejection scares me. But so does the idea of him having it and not getting treated in time. I guess I just need to have faith in the Transplant Team. They have helped him so much already and I do feel confident that they are the best and that he's in good hands. I did express to them though, that while I want him to be released, I want to make sure it isn't until it can be permanently and not prematurely. I still feel horrible that he got so sick while in my care. I understand that it wasn't my fault, but as a mother, that knowledge doesn't always help. Crystal...you did the very best you could, that any mother could. It sounds like these symptoms were beginning before you even took him. He is so adorable. I love the pictures. We'll all keep praying, and he will be just fine. Happy Birthday to Lilly! She is so hilarious. Crystal...I can understand your feelings because I've been there. 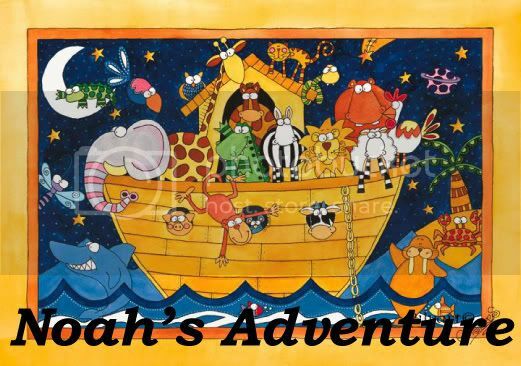 I think you are a super advocate for Noah. I bet you are a wonderful parent to work with and I'm sure the docs and nurses appreciate your concern and care. Hang in there super mom! I can't wait to see more wonderful pics of that cutie patootie!! 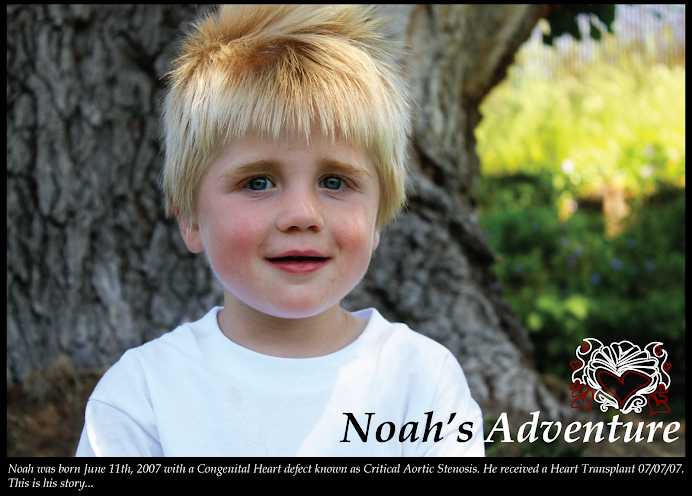 btw, Judi, who helps with Gus' Gang, created a "Pray for Noah" button that I've posted at Gus' Gang. I've encouraged others to grab it and place it on their blogs as a prayer reminder. Remember that you all are in our prayers! I think that part of the grieving process is guilt. I went Months where there was so much guilt. Not one thing I could do for my sick baby. I remember the day after his resevoir surgery getting the call that he had had a severe seizure and sat on my bed rocking back and forth crying wondering what I had done to my baby. I did nothing buy during the hard times it sure felt that I was the culprit. I didn't expect anyone else in the family to understand because no one had sat in that chair that we were sitting in. Now that we have walked past that chair and still sit sometimes, I can say it does get a little better and you are doing the best you can. HUNDREDS of prayers go out to you and Noah. As a mom... Mine go out to you with a special little tag.. not to let you feel alone. Cause you are NOT alone in it.